In this Philippine name, the middle name or maternal family name is Nuñez and the surname or paternal family name is Clarete. Edda Giselle Rosetta Nuñez Clarette (born September 24, 1979), better known by her screen name Julia Clarete, is a Filipino singer, actress, television host and performer. She is best known as one of the co-hosts of Eat Bulaga! , the longest actively running noontime TV show in the Philippines. Clarete was introduced as a member of Star Circle (now Star Magic) Batch 4 in 1996. ABS-CBN Center for Communication Arts Inc. is the training and management subsidiary of ABS-CBN Corporation. It was designed to assist young talent in the Philippines. Star Magic talents undergo training in acting, personality development and physical enhancement before being cast in the television shows of ABS-CBN and the films outfits of Star Cinema, and Regal Entertainment, and Black Sheep Productions, as well as other film projects in the Philippines, commercial projects and corporate events. Kuala Lumpur, officially the Federal Territory of Kuala Lumpur, or commonly known as KL, is the national capital and largest city in Malaysia. As the global city of Malaysia, it covers an area of 243 km2 (94 sq mi) and has an estimated population of 1.73 million as of 2016. Greater Kuala Lumpur, also known as the Klang Valley, is an urban agglomeration of 7.25 million people as of 2017. It is among the fastest growing metropolitan regions in Southeast Asia, in both population and economic development. 2011 Shake, Rattle & Roll 13 Cornelia Segment: "Parola"
2004 Maalaala Mo Kaya Adult Miriam Defensor-Santiago Episode: "Puno"
2005 Magpakailanman Ente's daughter Episode: "The Vicente Undicimo Story"
2005 Magpakailanman Rizza Navales Episode: "The Rizza Navales Story"
2005 Magpakailanman Herself Episode: "The Julia Clarete Story"
Cynthia Kristina Kurleto is an Austrian model, actress, and a former MTV VJ in the Philippines. She is known for being a commercial model and an FHM model in the Philippines and also for playing the role of Cassiopea in the hit series Encantadia and its prequel/sequel Etheria. She was born to an Austrian father and Filipino mother. Anne Roxanne Jordan Barcelo, also known as Roxee B, is a Filipina-American actress, model and singer. In 2006, she became one of the 14 housemates of ABS-CBN's Pinoy Big Brother: Celebrity Edition. Before entering the Big Brother House, she was a finalist of ABC's Hollywood Dream. Perhaps, she is known for playing Natalie Alcantara in Wildflower. Roxanne played the role of young Alba, an antagonist and guest character of Los Bastardos. Joey de León is a Spanish Filipino comedian, actor, television presenter and songwriter. He hosts the noontime variety show Eat Bulaga!. He is a member of the comedy trio Tito, Vic and Joey that has made several comedy movies and TV shows. Pauleen Marie Jimenez Luna-Sotto is a Filipina actress and television personality. She appears on the GMA Network, particularly as one of the regular hosts of the long-running Philippine variety show Eat Bulaga! where she portrays the child-woman character Baby Poleng. Rochelle Pangilinan-Solinap is a Filipina dancer, actress and recording artist. She was one of the founding members of the popular group SexBomb Girls. In 2007, she repackaged herself as a short-term rap and hip-hop artist under the name RoC. Marvic Valentin Castelo Sotto is a Filipino actor, television presenter, comedian, singer and songwriter. He is known for his various television and film projects on the major Philippine television networks GMA, TV5, and ABS-CBN. He is one of three pioneer hosts of Eat Bulaga!, which is the longest-running Philippine noontime variety show. Sugar Mercado is a Filipino dancer and actress. She was originally a member of the Sexbomb Girls and one of the hosts of the popular GMA Network noontime variety show Eat Bulaga!. She was dropped by the show in 2007. She is now a co-host of Wowowin. Liana Pia Coronado Guanio-Mago, better known as Pia Guanio-Mago, is a Filipino actress and television presenter. She is head anchor for the entertainment program Showbiz Central. She is also the former showbiz segment anchor for the GMA Network primetime newscast 24 Oras and one of the co-host of the longest-running noontime show Eat Bulaga!. Maria Lourdes Grace Valdivia Basabas, better known as Lougee, is a singer and songwriter based in Manila, Philippines. She is the lead vocalist of the alternative rock band Mojofly and was a host of the popular noontime variety show, Eat Bulaga!. Ciara Anna Gamboa Sotto is a Filipino actress and singer. Oh Sang-mi, better known as Sam Oh is a television host, radio broadcaster and a Korean expatriate who has been living in the Philippines for 20 years. She can speak Tagalog and English in addition to her native Korean. She has been the main hostess of Rated Oh! on Solar Entertainment's ETC cable channel for eight seasons and a columnist of The Manila Times. Christine Sotto Jacob-Sandejas, also known as Christine Jacob, is a Filipina swimmer, actress, T.V. host, and newscaster. Alice Dixson or often misspelled Alice Dixon, is a Filipino-American actress, commercial model, and former beauty queen. Born to an American father and a Filipino mother, she was the Philippines' representative for Miss International in 1986 and became a household name in 1987 through a Palmolive soap TV commercial where she sang the phrase "I can feel it!". After joining a talent contest in Eat Bulaga! and Binibining Pilipinas, her show business career started with the role of Faye, a fairy princess, who fell in love with an earthling in Okay Ka, Fairy Ko. At that time, Eat Bulaga! was airing on RPN and one of its hosts, Vic Sotto, requested her to be part of the TV series. Nicomaine Dei Capili Mendoza is a Filipino actress, comedienne, host, television and Internet personality, writer, phenomenal star, product endorser, and singer-songwriter. She is best known for her viral Dubsmash videos and her role as Yaya Dub in the noontime variety show Eat Bulaga! segment "Kalyeserye", previously aired on GMA Network and worldwide via GMA Pinoy TV. Her rise to fame is often described as phenomenal and unconventional due to the unscripted forming of AlDub love team in Eat Bulaga! on July 16, 2015 where she was paired with Alden Richards. AlDub is a portmanteau of Richards' first name and Mendoza's character in "Kalyeserye". Sebastian Benedict Granfon Arumpac, also known as Baeby Baste, is a Filipino child actor. He is the youngest host in the present roster of presenters of the longest-running noontime variety show Eat Bulaga! Luzia Jannie Dy, widely known as Luane Dy, is a Filipino showbiz television personality and actress. She is known for being the host of GMA Network's morning television show Unang Hirit where she, along with her co-hosts, received the Best Morning Show Hosts award during the 29th PMPC Star Awards for Television in 2015. She also presents showbiz news on Balitanghali and used to anchor "Chika Minute," the entertainment news segment of 24 Oras Weekend. Natalia Moon Born "Natalie Stephenson" is a Brisbane born and Darwin raised Australian actress Singer-songwriter and DJ. She rose to fame for her role in the Filipino sitcom, 'Ismol Family' on GMA Network,(2013–2015) in which She was nominated for 'Outstanding Breakthrough Actress’. Natalia was raised in Australia, and moved overseas after high school to boost her career prospects. Despite migrating as an adult, her accent is noted to alternate between an Australian accent and an Americanized accent. It tends to show predominant Americanized features on film but occasionally switches back to an Australian accent. This peculiar quality is not exhibited by her immediate family including sisters. According to people who knew her in school, she was not known to have this accent changing issue in her youth. 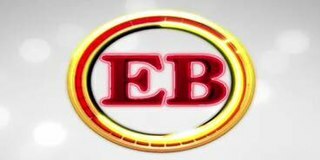 "Tamang Panahon" is a special episode of Eat Bulaga! as well as the 87th episode of its "Kalyeserye" portion. The episode is also a benefit concert that was aired lived on television in the Philippines and other countries on October 24, 2015 from the Philippine Arena without any commercial breaks. "Tamang Panahon" highlighted the no-restrictions meeting of the AlDub love team of Alden Richards and Maine Mendoza. The tickets of the concert were sold out after three days of the announcement of the concert and all of the ticket sales, which amounted to ₱14 million, was for the construction of AlDub libraries that benefited schools in the Philippines and the Lumads. This article about a Filipino singer is a stub. You can help Wikipedia by expanding it.